Carter, a Miami native, was the 1971 National Bowler of the Year. She won the U.S. Open twice and also finished first and second twice each at the Women’s International Bowling Congress National singles championships. 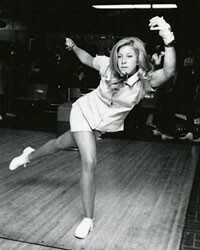 She is a member of the Florida and Miami Bowling Halls of Fame and the WIBC National Hall of Fame.